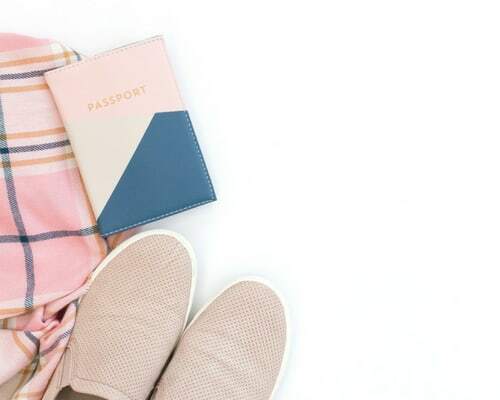 If you are a work-at-home woman, you should understand that you are simply not constricted by the four walls around you – or more to the point, you are not confined to your house, town, state, or even country. Since the birth of the Internet, people have been blogging about everything under the planet; from coffee to mothering advice. Have you ever considered that you do not have to be sat in front of a desk at all? You could be sat by the Great Wall of China or on the stunning Tra Co Beach in Vietnam, imputing your discoveries into a new blog post. Simply put; all you need is a laptop – and a burning desire to taste, feel, see, and experience new things all from around the world. First up, and most importantly, decide where you want to travel to. Is your journey going to be a round trip of visiting each of the fifty states? Interrailing through every major city in Europe? A full out quest to visit every country in the world? Why not visit all the countries? Anil Polat is doing precisely that in his blog FoXnoMad. Anil used to be a computer hacker, but decided to put down the digital weaponry and now travels the world – being able to financially support his adventure by blogging about it. You will need a name for your travel blog which is short, catchy and that people will remember. Within this name, you need to sum up what the ethos of your blog is. For example, Trekkn is a short name which connotes that this family is on-the-go and blogs about many different places and outdoor adventures. Establish your blog on one the popular blogging platforms like Blogger or WordPress — don't worry, Holly has an easy step-by-step blog tutorial right here. WordPress tends to be used by most professional bloggers has great tools and functionality to help you customize your blog and make it personal to you. The advantage with WordPress is you can really get to grips with making your blog look unique. On top of this, use social media sites and email marketing to promote your blog to friends and family – always a great starting point to obtain a key group of followers. Some websites pay good money for articles that have been written about your travels. You will always have downtime on your journey, so writing a few articles to generate a bit of income is an easy option! Check out this list for paid travel writing opportunities. Affiliate marketing is huge. And there is a lot of money to be made if you have a good relationship with your readers – so why not cash in on this monetization method?! One course that gives great advice on how to create a steady income from affiliate marketing is Michelle Schroeder-Gardner's course, Making Sense of Affiliating Marketing. In fact, Michelle earns five-figures a month just from affiliate marketing — you can read about her success here! Use an ad network like Google AdSense, Media.net, or AdThrive to your advantage; placing adverts on your website that are relevant to your content. The more people that view your blog, the more the adverts will be seen and clicked on. However, making a lot of money with this will come from your blog being really popular – and that will take time. Having an understanding of SEO (search engine optimization) can bring far more people to your site – and is often overlooked by bloggers. There are many books on SEO spanning different levels of difficulty. You would be surprised at the number of freebies and discounts that brands and companies are willing to give you if you write about them. If you're interested in pursuing paid and trade deal with brands, check out this article! Remember one thing; you are not alone. There are many people who have a plethora of advice and are willing to share it with you. There’s nothing wrong with asking for advice, it goes a long way in the travel blogging game! And remember to post regular and interesting content on your blog. This can be done via podcasts, written words, pictures, or even videos. The more specific it is to a niche, the easier it will be for an audience to latch onto. The main reason you should be writing a travel blog is for yourself. As a woman, you should not be scared of the world and what it has to offer – it is there for the taking. All you have to do is have the guts to throw the boring 9-5 paperwork out the window in an effort to do something completely different with your life. 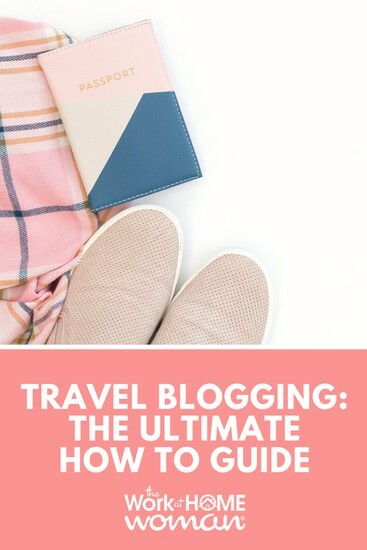 Travel Blogging; The Ultimate How-To Guide was researched and written by Ally Biring and updated by Holly Hanna on July 29, 2018. Affiliate marketing is one of the best ways to monetize a travel blog. I used to have a travel blog – I loved booking.com and Airbnb. I am a freelance writer and a blogger, and there are so many websites that pay you to contribute travel articles. Arrivdeo is a great start to make money as a travel blogger. Thanks for pointing that out about the features aspect on blogger. I think wordpress is probably the best as you can start there and always migrate your site to a different server at a later stage and there is a lot of information out there to help you as well. Great article! I’ve been keeping a travel blog the last year and a half about my experiences living in Mexico City. My one tip to others would be to NOT use Blogger. Although the new templates look really nice, it’s incredibly hard to add features to Blogger.